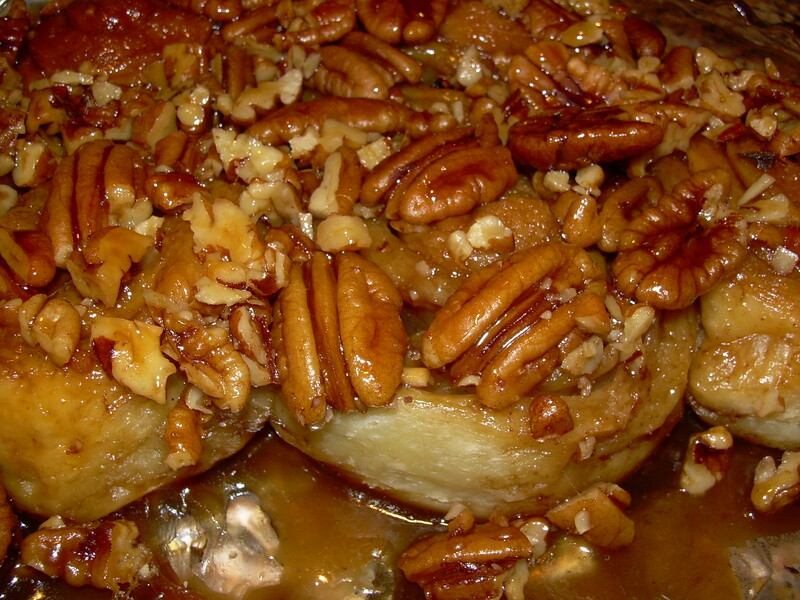 Mrs. Chow's Kitchen » Post Topic » Tuesdays with Dorie – Sticky Buns! Yeah! 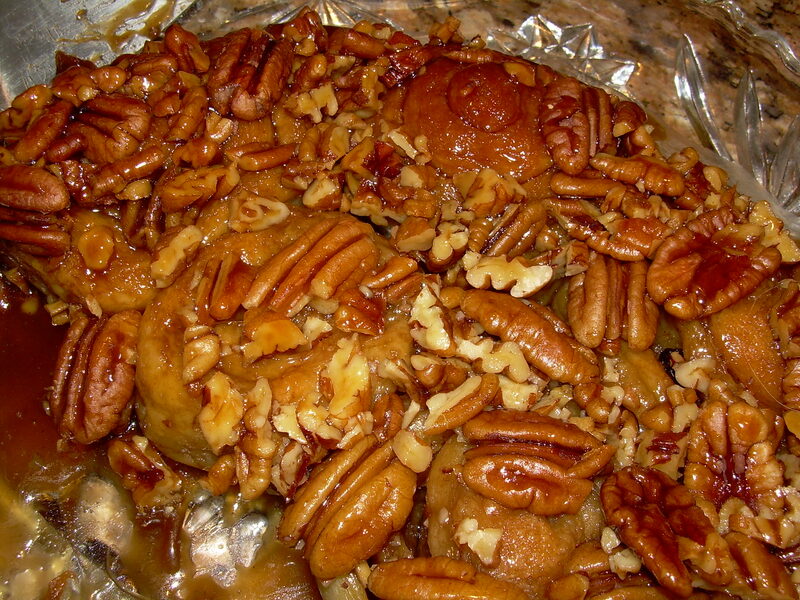 The sticky buns must be unmolded minutes after they come out of the oven. If you do not have a rimmed platter large enough to hold them, use a baking sheet lined with a silicone mate or buttered foil. 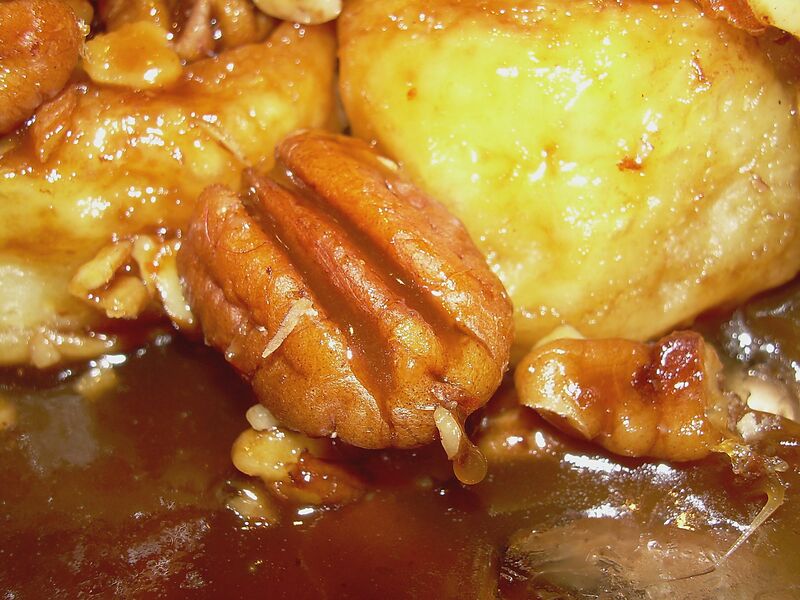 Be careful – the glaze is super-hot and super-sticky. Thank you Madam Chow for choosing such a irresistible recipe! 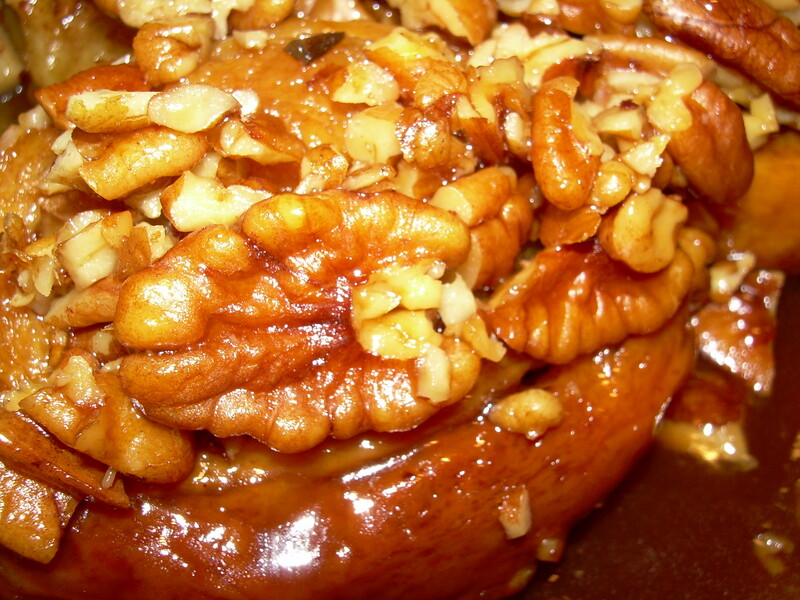 I’m so glad that I froze half my sticky bun roll, because otherwise I would have eaten them all! boo hoo! mine didn’t turn out all that well. But then again its my fault not the recipe. Probably will try this again when I’ve got a whole saturday free or something. Thank Madam Chow for choosing this recipe though! I made this recipe today for my parents 25th anniversary. They are soooo good!!! 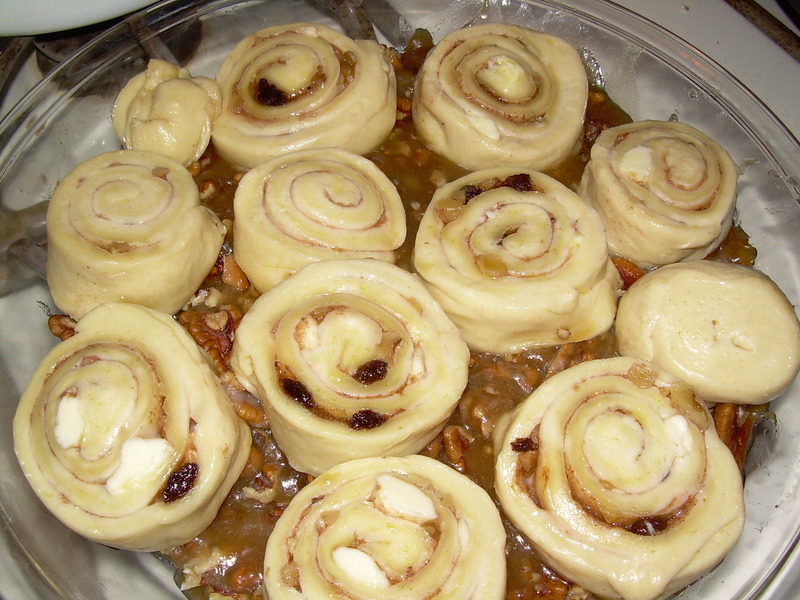 The only things I changed was I used leftover dough that was kept in the fridge, and I added some raisins. Delicious! !